Turn your wine into water! 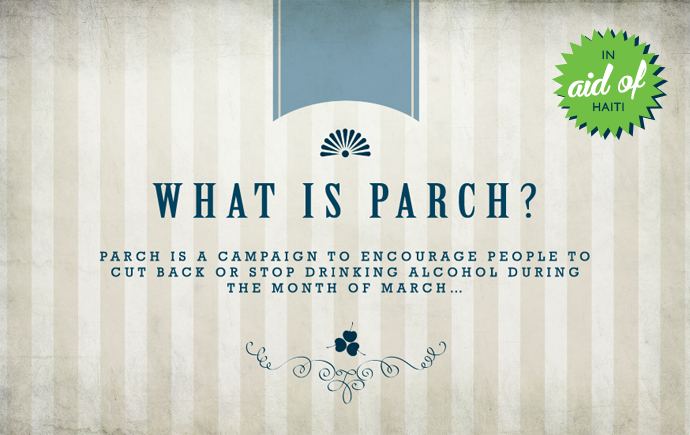 Parch each March and raise money to fund drinking water for students at the Andrew Grene High School and the AGF Branch of Fonkoze in Aquin. Cut back, or stop drinking alcohol during the month of March, and donate what you would have spent on the cost of a bottle or two of wine to the Andrew Grene Foundation. You’ll be raising vital funds to enable the Andrew Grene Foundation to supply fresh drinking water to the students at the Andrew Grene High School, and to the women enrolled on our numeracy and literacy program at our microfinance branch in Aquin.